Our Little Family: Smiling Machine! 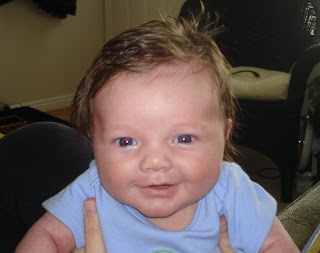 At 4 weeks he smiled for the very first time and now he's a smiling machine. Here is a picture of his cuter-than-cute smile that just melts our hearts.